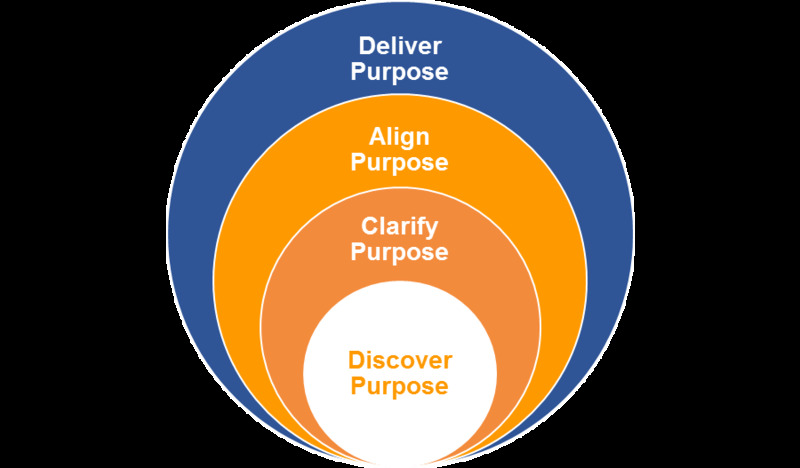 Using the latest psychological and organizational development research on organizational purpose, culture, and performance, Zach uses the Path to Purpose below to offer solutions for organizations and teams of any size and type to awaken, clarify, and deliver their authentic purpose. Every organization has a reason for existence. The nature of this reason, however, is not always clear, compelling, and effective in engaging and empowering stakeholders who want to be a part of something bigger than themselves. Many organizations have a healthy, symbolic understanding or intellectual knowledge of their purpose. However a clear purpose is one that is believed at every level of the organization and permeates every mindset, behavior, and process. Understanding in detail how your organization's purpose is enacted at every level is critical. In many instances, there can be a gap between communicated (branded) purpose and what is happening at the individual, group, and process levels of the organization. Purpose consistency is the integrity of a purpose. No one cares why your organization exists unless you prove it through every channel, every day. Perhaps the most overlooked part of purposeful organizational design is the delivery systems of the purpose. Zach will be in touch within 24 hours.